What should you do when you are surrounded (finally) by snow? Play, of course. We were snowed in and couldn't get to our favorite sledding hill, so Greg improvised-brilliantly. He made a snow track in our backyard. We have gobs of snow, so it was quite doable. I thank his strong back. Luckily he had a great time constructing the race track. So despite the streets being packed with three feet of snow, the kids were able to sled downhill and with a curve to boot. I am so thankful for this snow and that we did not lose power. In these recent years, it has begun to feel less and less like winter. Thank you Mother Nature for a nice wallop. I love the blues in the snow. Winter is one of my favorite seasons. There are so many beautiful colors to see if a body only takes a moment to really look. This weekend was an awesome ending to a wonderful week of Spring Break. Boy did we ever need Spring Break-all the toing and froing simply wears me out; I embrace my introversion, but it is a hard row to hoe when you hafta be places. Friday we watched some crazy German pirate movie; I must say though that the dubbing was excellent. There was laundry and yard work on Saturday, lots of manure, compost and fish fertilizer. You can guess what I smelled like by the end of the day. The fish fertilizer was actually the worst. So now we have grapes, new raspberries, baby bear pumpkins, garlic, spinach, kale, radishes, lettuce, carrots, and tomatillos and three kinds of tomatoes started. We finally learned our lesson and decided to succession sow our lettuce and green leafies. The blueberries and strawberries have been fertilized so here's hoping we get a crop. Finally, we received a good soaking rain. There were dust and pollen clouds here for weeks. The dirt was like fine sand. Now the birds and worms and plants are happy. The mallard couple came back to our temporary backyard pond. I only hope my little seeds didn't get washed away in the deluge. The best part of the weekend though was the brick and rock painting by the kiddos. They really brighten things up and I just enjoy watching them execute their plans even if it does involve squabbling. I spent a lot of time reading Adventures of Little Bear. This set was organized a bit like a chapter book. Everytime I tried to stop reading, Eden would tell me we had more to read. Still, despite almost falling asleep on her, I enjoyed watching her enjoy a book I loved as a kid even if Maurice Sendak's drawings of Cat fascinated and kind of freaked me out. We capped off our weekend with a trip to the bowling alley. I think this activity will be a family favorite. There was lots of slowing down time which I treasure. Greg was home so that was even better. I had time to just look at the kids-really look at them without having to go do this or that or drag someone here or there. Toing and froing is vastly overrated, but now we are back to it (sigh). Luckily I have been filled up and I think we can make it to summertime. It's gonna be short and sweet today as I am writing this on the computer in my jacked up basement. Our weekend is continuing because it's spring break for us. Friday I broke down and let the kiddos watch Ghostbusters despite the scary parts. It was funny for me and Greg, and okay for the kids. Elijah proclaimed that the movie was a bit confusing. Hmmm. That means Greg is home more-yay! Saturday I spent time in my studio-double yay! Afterwards I went out with some dear friends to celebrate our birthdays-two Aprils and a belated October-triple yay! They gave me some wonderful knitting gifts. It's great having friends that have the same yarn addiction. Sunday was spent outside-doing some garden planning and rototilling. There was also lots of mud. I won't go into the part where a certain someone forgot that he was supposed to rinse off all of the mud before boot-scooting through my house. The day ended with my birthday cake made by Greg, a sweet homemade gift from Elijah, hugs from the kids and dinner prepared by our local Chinese restaurant. The evening ended with me practicing painting trees in the old sketchbook and figuring out some issues with the painting I am making, and some gratitude that I am starting to get it. Joining Amanda at the habit of being for weekending. . . .
Hansel and Gretel was our movie of the week. It was delightful. I was surprised to see David Warner and Cloris Leachman. She was quite entertaining as the witch. This version did away with the stepmother angle and people kicking the bucket. Saturday I went to WEBS with some friends. That place is insane. I had my project notebook with me; it helped-a little. 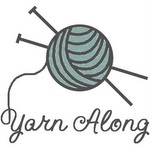 I was wayyyy overwhelmed by all of the yarn (discounted too) goodness at this place. Holy macaroni. There was all kinds of yarn: Noro, silks, wool, wool blends, pretty much whatever you want. I got some yarn for projects for myself and for the kiddos' birthdays. If you go, have your list of projects and necessary gauge information (something I forgot here and there). I urge you to go if you can, but just make sure you have your lists and a lot of time. After the yarn mecca, we had dinner in Northampton- a quirky and fun town. I finished a felted ball; now on to the next one. I also found some more delightful Easter projects-we'll see. Sunday was incredible. We spent most of the day outside, prepping the garden-chopping, raking and moving earth. I did take a minute to go buy some CowPots. You can probably guess their contents. I think I want to try them with our watermelon and pumpkins since neither plant likes to be transplanted and our growing season is so short. I ordered a much needed Willow tree, and came a few steps further in deciding what stays and what goes, and which plant goes where. I do enjoy this Spring ritual. Speaking of which, the Vernal Equinox is only a day away. We took about an hour away for the kiddos' Meditation First Communion program. We all enjoyed the hour even though we had to stop our gardening to go. Then Greg grilled some burgers and we had our first picnic dinner outside. It was a chilly one, but it felt great. We probably looked a bit strange plunked in the middle of our front yard, but oh well. There was even a little bit of time left over for some Shaun the Sheep and Fat Albert viewing. Here's to weekends. How was yours? It's Photographic Friday, the day when I share practice photographs from the past few days or so. They aren't perfect. What is really? I'm enjoying the process of concentrating, creating and working up my 10,000 hours of practice. If the spirit moves you, feel free to share your own creations, photographic and otherwise with a link! It is always interesting waiting for the leaves to arrive. They are nowhere to be seen and then pop!, there they are. Wishing you a wonderful weekend . . . .
Ah, a long (well sort of ) weekend. Last week was long and we were all looking forward to the weekend. My mom and dad came down for a quick visit. We watched How to Frame a Figg-quite a hoot with Don Knotts. We didn't even make brownies because the grandparents left plenty of treats, not to mention Girl Scout cookies had arrived the day before. There was more color chart work and color discoveries-Winsor Yellow works wonders when combined with French Ultramarine. Brown madder is also a nice new discovery. Saturday evening I broke out the old tablecloths and placed them on the floor so the kiddos could have a "pic-pic", as Eden calls it. Thankfully Greg made a tasty pizza for dinner because mama was tired. Then off to a wine and cheese gathering at a friend's house-so good to hang out. We "partied" pretty hard until 12:30am, or rather 1:30am, due to that dastardly daylight savings time shift. It was such a relaxing evening after a full day. Sunday we were tennis and obligation-free so there was space and time for going to the park together, watching Canada geese battle it out, sniffing flowers at the greenhouse and playing ball. The heaps and heaps of laundry got folded by everyone working together - a first. The kiddos learned that folding clothes wouldn't cause them bodily harm. Dinner was a Bittman special: spinach spaghetti with mushroom sauce and a side of squash (so out of season, but Doran begged and I complied). While the kiddos rode their bikes, I read a bit of Taproot. It is a reassuring and lovely "community-zine". That's the most accurate way I can describe it. Shannon Hayes provided some of the most interesting quotes from the magazine: we "... must embrace what it means to fully be human. This means spending a few hours resting, a few hours playing, a few hours creating, a few hours teaching, a few hours learning, a few hours nourishing our bodies . . . a few hours tending the soil and connecting with ourselves . . . and our planet." It's Monday, so I am joining Amanda at the habit of being for her weekending series. This weekend was bittersweet. I suppose if you think about it a bit many weekends and days are, but the usual seemed exacerbated by 9/11 memories and pain. We were lucky to be able to go apple and pear picking. The brilliant sky reminded me of the brilliant sky of that day. I thought about the luck and absurdity of it all. I am able to stand with my family and do things like pick apples while others have lost family members and friends to the events of that day and still others lose loved ones in wars. Then I thought of many other ways we suffer as human beings through poverty, disease, hate and pure luck or bad luck of the draw. I wondered why at least, if some folks can't be nice (in the simplest of terms) then why can't they just leave others alone. Then I thought of my friends, family, you and all of the good and joy that remains in the world, even throughout and despite the suffering. I think I will chose to take joy. I received some awesome news that had me squealing and running around in circle like a three year-old. Two of my art pieces were juried into a local art exhibit so I am super stoked! Yay! Squeeee!!! We managed to pick some White Lady peaches the other (that is kind of funny name :) and they finally and thankfully made it into jars yesterday. Let's hope they took! In the peach orchard, there is always a little "eeww" factor-fallen peaches and the animals that love them. And then there is the freakish but fascinating fungi. Love the end result~peach jam and peach pie filling!